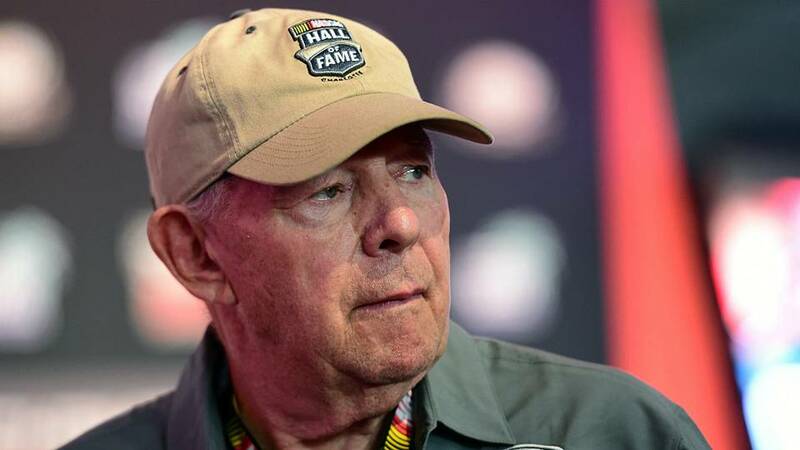 NASCAR Hall Of Famer Jack Ingram is hospitalized today after suffering serious injuries in a highway crash Sunday morning near his home in Asheville, NC. According to the Asheville Police Department, Ingram and two passengers were on their way to breakfast Sunday when their 2002 Chevrolet was struck in the driver’s side door by a 1999 Ford pick-up. Ingram was transported to nearby Mission Hospital in Asheville with a collapsed lung, five broken ribs, and a puncture wound on his left side. Once in ICU, it was determined that he had suffered a spleen injury that was causing internal injury. He underwent surgery Sunday evening and remains in ICU. The 1982 and 1985 champion in what is now the NASCAR XfinitySeries was inducted into the NASCAR Hall of Fame’s 2014 class. One of Ingram’s two passengers was transported to the hospital with pain in his right arm. Ingram’s other passenger and the driver of the other vehicle were reportedly uninjured.